When you are capable of delivering powerful strikes to your attacker’s vulnerable anatomical targets, you are never really unarmed! This introductory level course focuses on mindset and awareness then augments these concepts with simple, gross motor-based techniques proven to work under the stress of a real-world encounter. You will learn how to escape from common holds, how to protect yourself from punches and kicks, and how to deliver strikes and kicks of your own that incorporate the weight of your entire body for maximum effect. 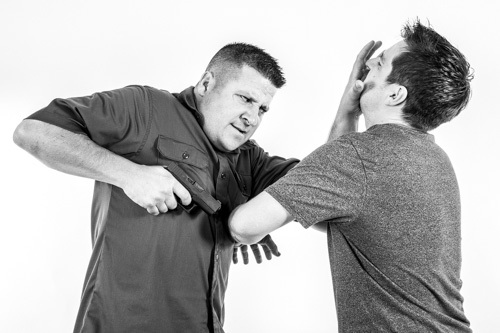 At arm’s length, a knife, screwdriver, or other edged weapon is every bit as lethal as a firearm. Even if you’re wearing a holstered handgun, accessing it against a surprise attack is easier said than done. 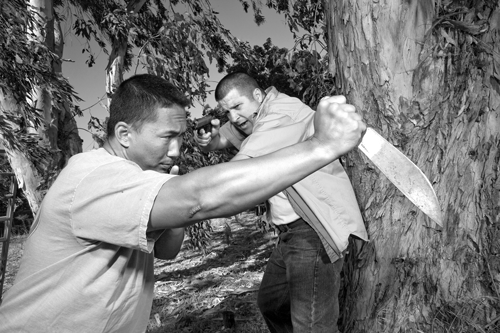 Many well-intended instructors focus on the edged weapon itself rather than the person wielding it. Their unrealistic strategy is to catch up with and control the fast moving weapon and in many cases, actually strip the weapon from the assailant. 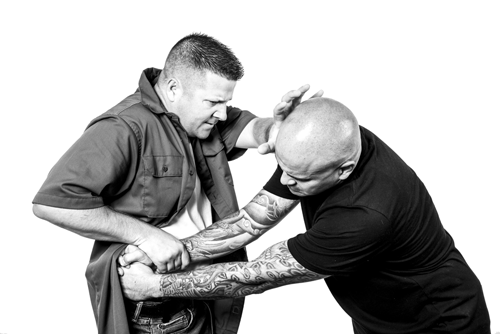 In contrast, this course focuses on avoiding/evading the weapon and simultaneously breaking the assailant’s balance, thus creating an opportunity to draw your own weapon or escape. Whether armed with a handgun or a long gun, an assailant who is within range could re-direct your firearm and disarm you. Contrary to popular opinion, merely pressing the trigger is not always a viable option. Since your life hinges on your ability to maintain control of your firearm, having a default response that works against any type of disarm attempt is paramount. On the other hand, when you are accosted by a gunman, you need a surefire method to get out of the line of fire, establish control of the direction of the muzzle then disarm the attacker by stripping the gun from him or by hurting him to the point that he is unable or unwilling to continue the attack. It’s a grave mistake to assume that shooting at distance makes shooting up close that much easier. At arm’s length, a whole new set of dynamics are present. Contact distance weapons, and even fists and feet are potential game changers in this fast-paced, hyper-violent realm of combat. Based on the curriculum detailed in our popular book, gunFight! – An Integrated Approach to Shooting and Fighting in Close Quarters, this course picks up where most shooting courses leave off. The emphasis is not on shooting but rather fighting with your gun. 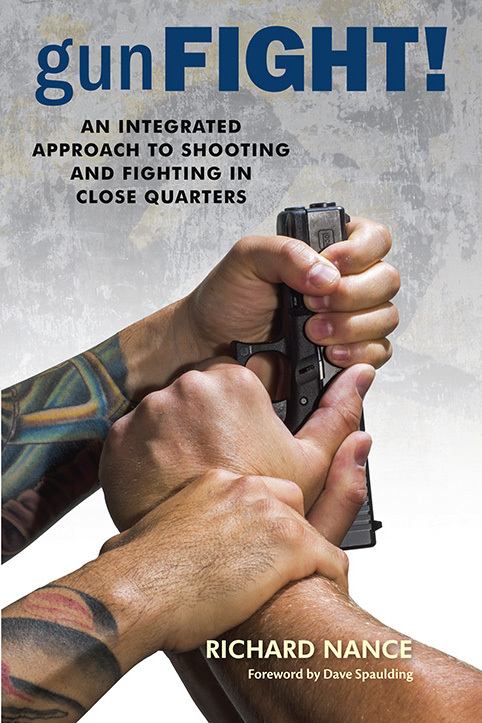 In this course, close quarter shooting theory and technique is combined with elements from our Unarmed Combatives and Firearm Retention and Disarming courses. This an advanced course, safety skills and marksmanship ability are prerequisites. "Before I took these courses and read his book, I felt that I had a gap in my skillset, but couldn’t articulate what it was. What I realized I was missing was the ability to use my shooting and marital arts skills at once. The ability to fend and strike while simultaneously trying to shoot was a totally foreign concept to me, but one that I now see as one of the most important to anyone who plans to carry a firearm for personal defense. Excellent teachers that can build strong shooting or empty hand fighting skills are rare. What is even more rare is a teacher who understands both and can explain how, when, and why to blend the two. Rich is one of those rare few and any of his courses will not only be enjoyable, but time and money very well spent. " FBI statistics reveal that Active Shooter Incidents are on the rise. Whether triggered by mental illness or motivated by revenge, terrorism, or some other dastardly goal, the active shooter intends to kill as many people as possible. As such, he or she has no interest in taking hostages or negotiating a peaceful resolution. 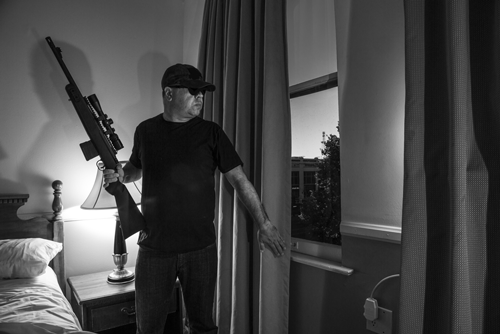 Learn what you can do to increase your odds of survival whether or not you’re armed. The material goes way beyond the Department of Homeland Security’s, “Run, Hide, Fight” methodology. *This course can be presented in a one-day format, focusing exclusively on unarmed responses or in a two-day format that includes armed responses. *All courses are two-day format unless otherwise noted. 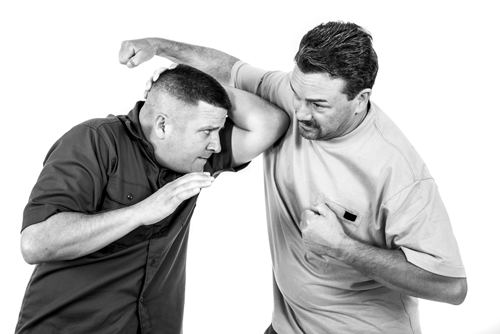 During an armed encounter at arm’s length, marksmanship alone won’t save you. In this fast-paced, hyper-violent range of combat, your life will depend on your ability to FIGHT with your gun! Learn the close quarter techniques and tactics that will help you prevail.